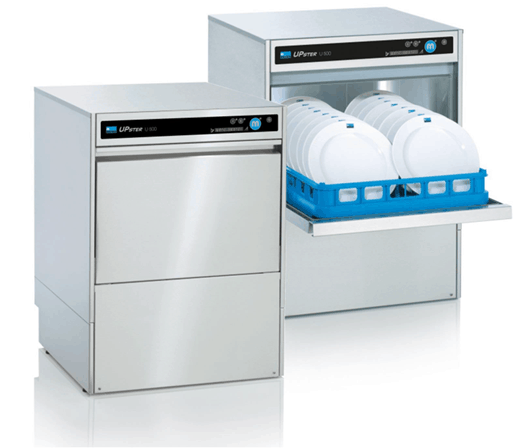 Whether a customer requires a warewashing system, from the smallest undercounter glasswasher or the large rack conveyor dishwashers, the company pursues a policy of working closely with it’s clients, understanding their warewashing needs and designing the most practical and professional solution. In most instances, this solution is delivered from our standard product range. Bespoke systems, when applicable, are designed and tailored around our customer’s specific requirements. Although the washing appliance forms the core of the system, many other aspects of the overall design solution also require consideration. Critical areas such as ergonomic working practice, energy and water management, water quality, the handling and treatment of food waste and the reduction of detergent consumption ensure that we supply our clients with the optimum warewashing solution that fits within their budget. To reduce the risk of faults and to ensure that the equipment as a whole performs to the utmost efficiency, the design of services, technical back up and maintenance procedures are individually assessed for each client, minimising the risk of breakdown or, alternatively, poor washing performance. What does CLEAN mean to your business?